AdvantaClean offers the most reliable and innovative crawl space waterproofing solutions. With our 20 years of industry experience, we have carved a niche in crawl space maintenance. We have a team of well-trained and experienced technicians who understand every nuance of waterproofing, mold removal and moisture control. They take a systematic approach towards every crawl space waterproofing assignment. First, they make a detailed study of a crawl space using the latest equipment and technology and then devise customized waterproofing solutions. We believe that the best result of a successful business is a satisfied customer and our goal is to achieve this objective in every assignment that we undertake. The crawl space of a building is an important area that not only supports the outer structure, but that also protects the foundation. 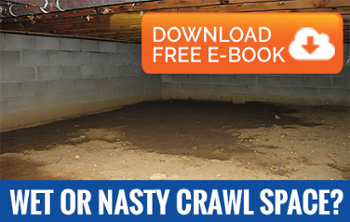 No matter whether you have a commercial or a residential property, its crawl space is usually going to be very low. In most of the cases, it is less than 30 inches in height, which makes it an inaccessible area. However, being an underground area, a crawl space is susceptible to water seepage, moisture accumulation and mold buildup which may cause a lot of health hazards for the inhabitants of the building that the crawl space is situated in. These issues can also damage a building from within. Only a team of professionally trained technicians can take care of these issues comprehensively. They have the expertise and technology to give you long-lasting solutions for all your crawl space issues.